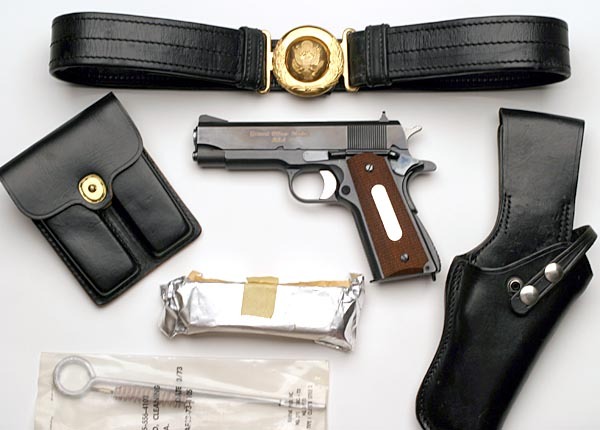 RIA General Officer Model M15 .45 ACP Serial Number GO609 - pictured with original belt, buckle, holster, mag pouch, two spare wrapped magazines (numbered to the gun) and cleaning rod. “I am sure there are those who feel it is presumptuous of me to write my own obituary, but who better to chronicle my triumphs and foibles? I struck my tent, stood my last retreat formation and listened to Taps for the last time a few days ago (Jan. 7th) as a result of natural causes (Jack Daniels, 3-star Asian food, garlic pizza and good cigars). I have included the picture above because I could not get clearance to use the one that did me the most justice (Clint Eastwood at the age of 45). My earliest triumph was being born to my wonderful parents, Kitty and Vance Palmer, on Jan. 5th 1931 in Sioux City, IA. They had to contend with my foibles for the next 18 years. My next triumph started upon enlisting in the US Navy Reserve on my 17th birthday, and continued through a 43-year career of active and reserve military service, which culminated in my retirement from the US Army Reserve as a Major General in 1991. My greatest triumph was meeting Lyn, the love of my life and best friend, in Boston in 1953 and marrying her in 1955. The 54 years that we had together, like good wine, did get better with age. The military career was coupled with a 33-year career with the Boeing Company, which included highly gratifying assignments on the Bomarc, Minuteman, Apollo Integration, 747, and Boeing Computer Services programs. In both of these endeavors, I had the good fortune to be associated with many good friends. A number of them have already passed beyond. When Charon has ferried me to the other side of the River Styx, I’m sure they will be waiting on the far shore with a double JD on the rocks. Chuck is survived by his Son, Steve Palmer; Daughter, Melinda (Gil) Erickson; Grandchildren: Catherine, Michelle & Ruben; Cousin: Connie Post and former Daughter-in-Law: Mona Zuill. 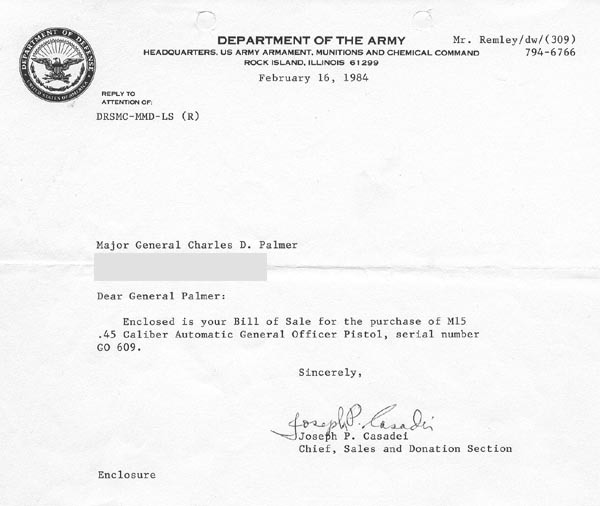 1958 - 1965 Transferred to US Army Reserve. 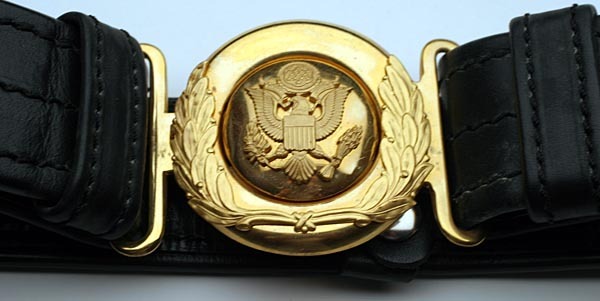 Served in various command and staff assignments. 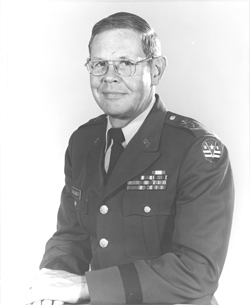 Retired, Major General, 5 January 1991. 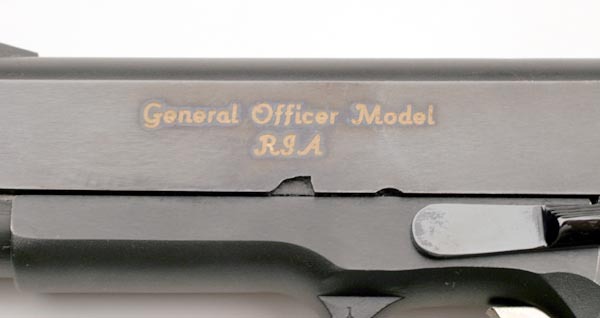 RIA General Officers Model Serial Number GO609 - The M15 was manufactured from 1972 to 1982. 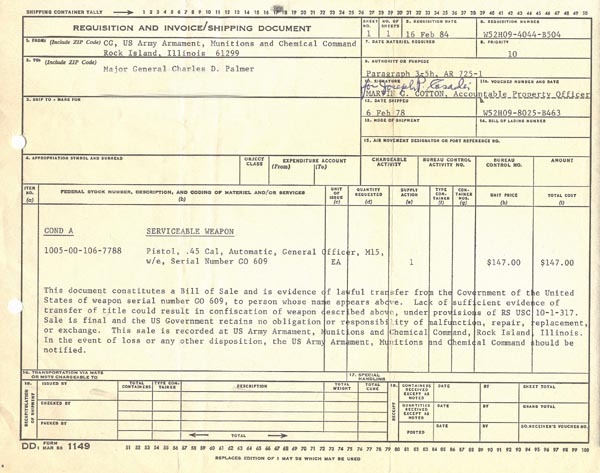 The frame and slide selected for the M15 were taken from unreworked arsenal inventory 1911A1 stock. To remove the original 1911A1 markings from the slide and frame, both had to be ground and polished. The thickness of the frame is approx. 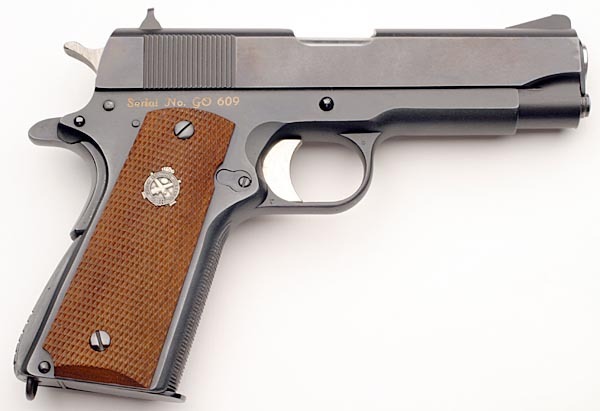 .016" less than that of the 1911A1. The length is the same. The slide is cut down and modified. 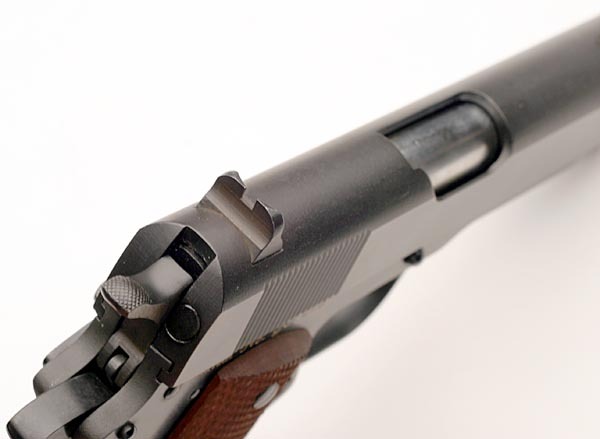 The width is .025" less than that of the 1911A1 and .75" shorter in length. 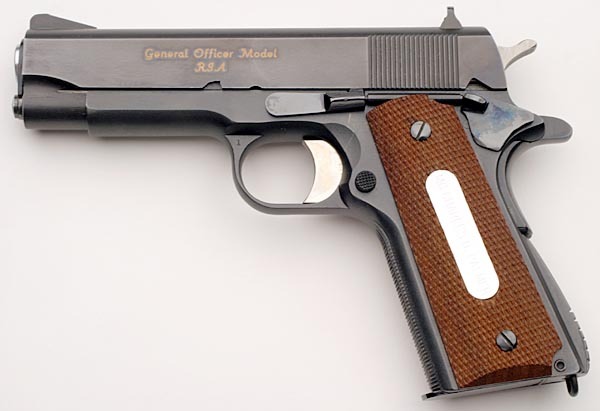 The lock, safety mechanism, hammer, grip safety, mainspring housing and slide lock are made from standard 1911A1 parts. These pistols were finished with a deep blue finish on portions of the slide and frame. The safety, slide lock and grip screws have a polished blue finish. 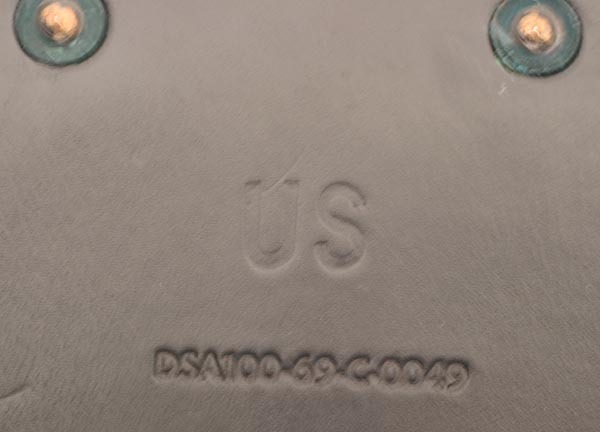 The top of the slide has a matte type finish. 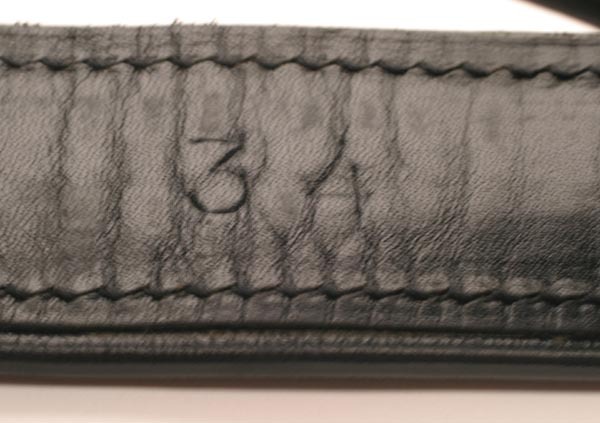 Serial numbers were changed to "Serial No. GO 609" type. The markings started with number G01 and went to number GO1004. 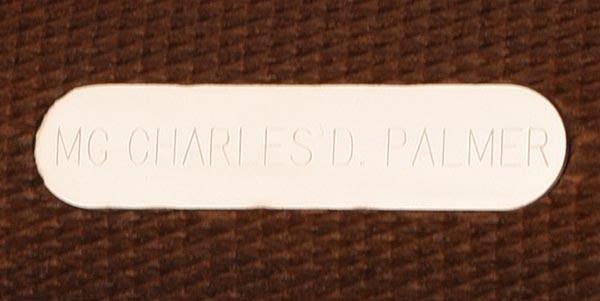 The engraving is filled with either a white compound or mixed with a gold color. Most of the earlier guns have white, but it's not known when the transition to gold occurred. 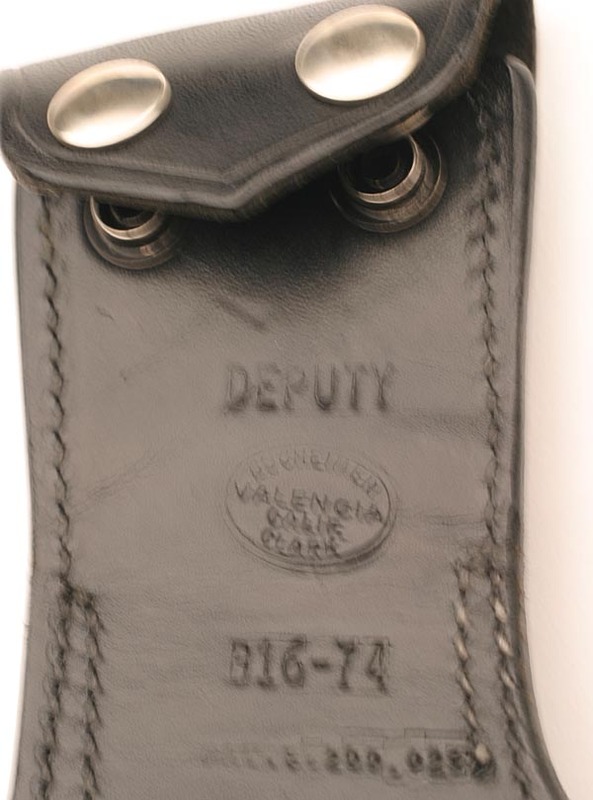 The placement of the serial number created a problem for engineering with the fitting of the Herrett grips. 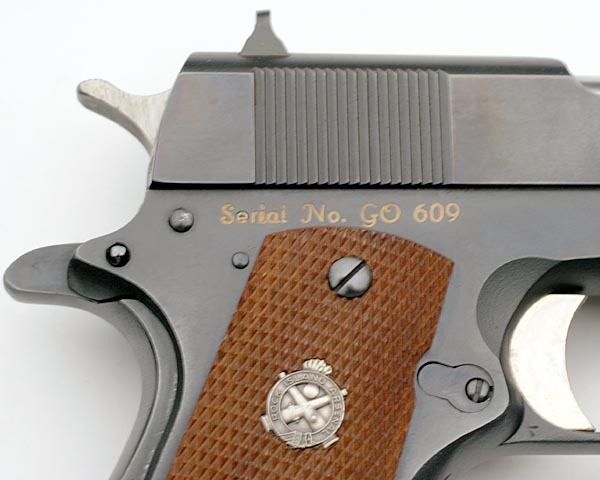 A jig to remove part of the top of the right grips to make the serial number clearly visible. The grips are sharp checkered, oil finished walnut with an Rock Island Arsenal emblem in the right grip. Sights are fixed National Match on the rear for the first 300 pistols, after which the rear sight was cast and purchased from a supplier. The front sight was manufactured at the arsenal. 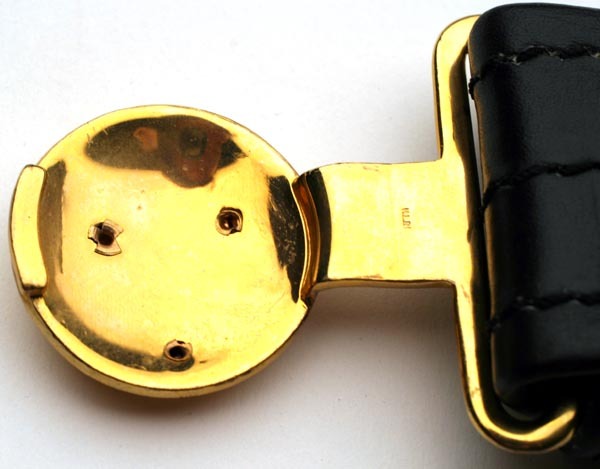 The front grip strap and arched mainspring housing are grooved vertically and horizontally. Chrome plated National Match aluminum triggers with front grooves and an adjustment screw are standard. 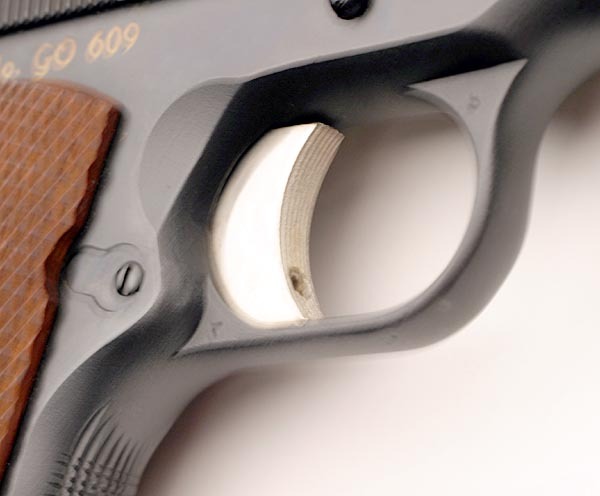 Magazines are serial numbered to the gun and a total of three were shipped with each pistol. Original wrapped spare magazines each numbered 609 to the gun. Cleaning rod in original bag.